Company announcing opening a new office location in Chattanooga Tn. Leveraging their success for over 24 years serving the three cities of Memphis and Nashville in Tennessee and Birmingham Alabama they are expanding their operations to include Chattanooga Tn. Heading up the new office and project management will be Brandon Wright. In course of the past years, the company has earned a reputation for excellence in the safe and timely deliverable of superior quality concrete and asphalt projects always keeping within their commitments. The new Wright Concrete and Asphalt Chattanooga office will align it’s service offerings much in the same manner as the current offices offer, keeping consistent and in step with engineering design and project implementation experience of a senior staff of construction engineers and project management expertise of the staff located in Memphis TN. The company will continue to take pride in maintaining all safety standards and safe guards across its projects. Licensed in states throughout the Mid-South, Wright Construction has had an impeccable track record of superior performance across all its projects and the same standards of excellence will be held by the Chattanooga office deliverables. It’s an exciting time for Wright Concrete and Asphalt Company to demonstrate it’s continued success by expanding services to more cities and counties across the Mid South. “When your good at what you do and deliver your product with integrity and quality like Wright Concrete Construction does, there will always be a demand for your services” states Mark Jenkins, a partner in one of the leading real estate development firms in the Mid South. 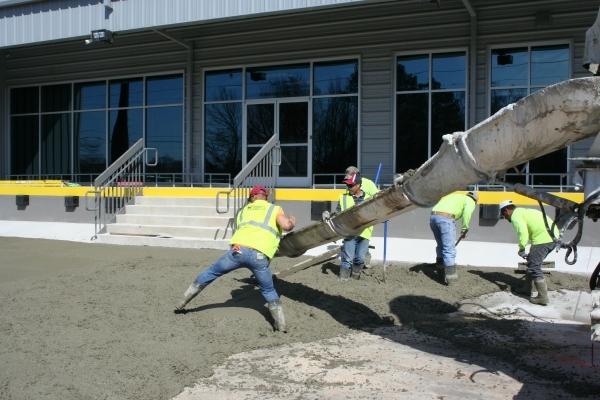 As concrete and asphalt contractors,Wright Construction has developed a strong industry knowledge base and technical expertise. Thus specializing in demolition, slab repair, structural concrete, pavement and joint repair, epoxy repair, dock pit installation, concrete foundations, drainage design and repair trench drains, ADA accessibility and pipe bollards. Another important fact is they also specialize in ADA compliance building and conversion. Wright Construction has worked in the areas of Barrier Removal, creating Accessible Paths, Curb Ramps, Signage, Hand Rails and Curb Cuts in Sidewalks & Entrances always working diligently to remain within the budget allocated while delivering high quality standards. Companies choosing to work with Wright Construction, thanks to their 24 years of industry knowledge, assists them in assuring their projects fall within the Government codes in ADA, which are continually being updated. With the main focus being concrete and concrete restoration and asphalt paving, the new Chattanooga office management will continue the tradition of evaluating client needs, assisting in design, and completing projects while minimizing impact on the client’s ongoing daily work activities. They will also continue the accountability, customer service quality and competitive project pricing. Wright Construction continuous to be an environmentally- conscious organization and has been involved with multiple LEED recognized projects which is an exciting element of services to bring to the Chattanooga market . As the operations manager of the new Chattanooga office, Brandon Wright is committed to work with each client in every aspect of their projects, be it in ADA compliance, Asphalt and Paving, Facility Management and Repair, Site Concrete, Slabs, Foundations and Structures. He will leverage his company’s success record in applying the latest technology and their two decades plus years of expertise in serving clients with excellence thus creating another referral base of satisfied customers in Chattanooga TN and surrounding cities of East Ridge, Red Bank, East Brainerd, Middle Valley, Soddy Daisy, Cleveland TN, Dalton GA and Calhoun GA.
As of April 25th, 2016 the new office of Wright Concrete and Asphalt Construction Company of Chattanooga is officially open for business. Please contact Brandon Wright at 423 402 6242 or visit: http://www.wrightconstructioninc.com/wcc-chattanoo… for more information.